After a couple of somewhat negative, politically-charged posts I felt it was time for a happier one. As such, here’s the story of Mary Henry; an all-but-forgotten heroine from the War of 1812. There is not a lot of source material on her and sadly the above portrait is the only image we have of her, but Mary’s story is an example of the extraordinary things ordinary citizens do during times of war. She was born Mary Madden (c. 1770 to c. 1830) in County Antrim, Ireland. Unfortunately, not much is known about Mary’s early life. Around the age of 20, she met and married a Royal Artillery gunner from County Derry named Dominic Henry in 1790. The two immigrated to British North America when Dominic was shipped to a post in Niagara. 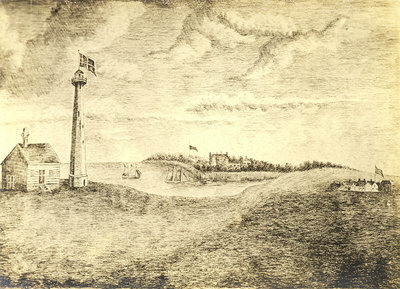 In 1803, Dominic retired from the military, became a pensioner, and was appointed the keeper of the first lighthouse on the Great Lakes in the Town of Niagara. Jump ahead 10 years and Niagara was in the midst of the War of 1812. 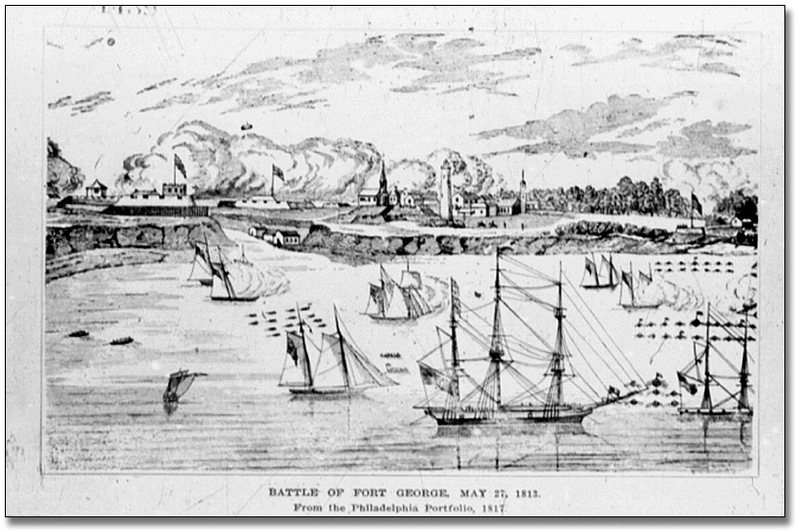 On May 27, 1813, the Americans had launched an assault on the nearby Fort George and the surrounding area. 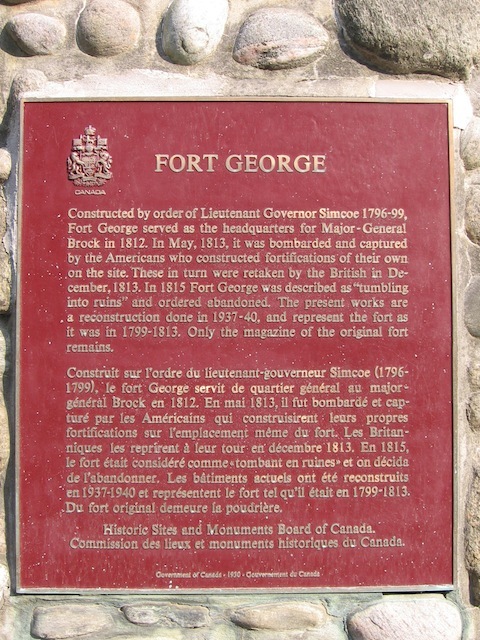 Known as the Battle of Fort George, it was a showdown between 4,000 American troops and 1,000 British soldiers bolstered by Canadian militia and Indigenous allies. Despite the British defenders being outnumbered around 1:4, they somehow managed to hang on for two days before retreating to the Burlington Heights (now in Hamilton). After the battle, the Americans held onto the area until December. 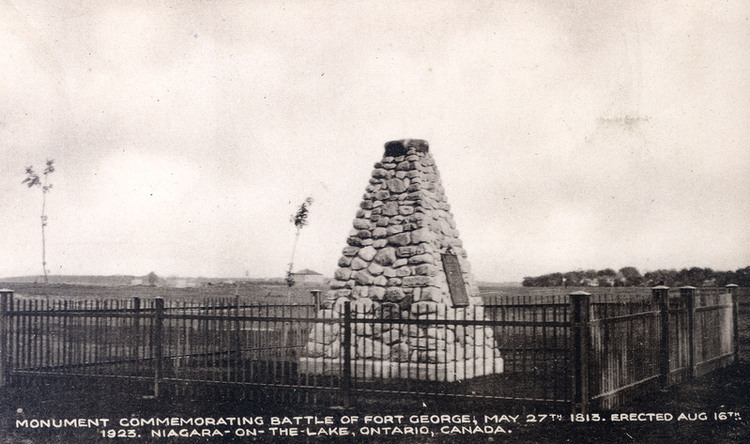 They had hoped to use Fort George launch an attack on the British base at Burlington Heights, but their defeat at the Battle of Stoney Creek and Beaver Dams wrecked those plans. Moreover, occupying Fort George made them vulnerable to ambushes. As a result, on December 10, 1813, the Americans decided to abandon Fort George and Niagara, burning the town in their departure. Those who lived there only had an hour’s warning before they lost their homes. Mary’s house was spared though. How did she get so lucky again? 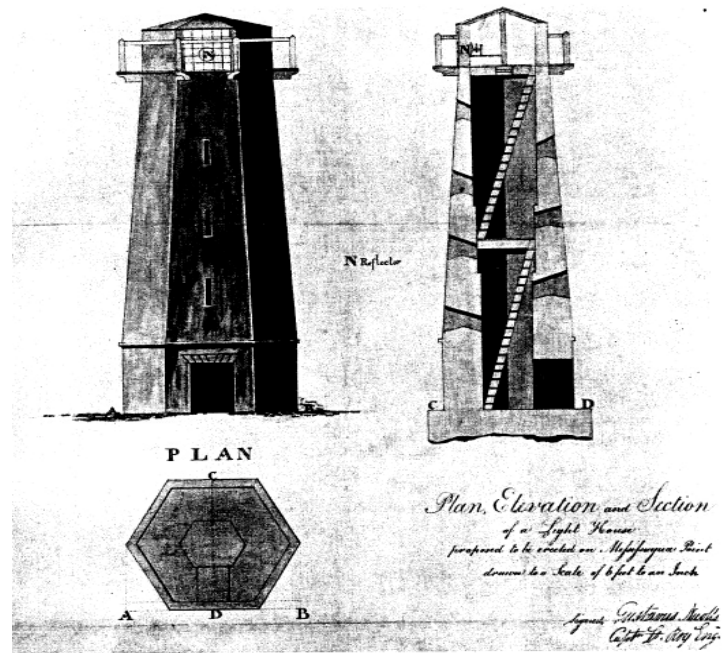 The lighthouse was considered useful by the Americans for shipping and so they chose not to destroy it or the keeper’s house. As she did before, Mary came to the aid of those who needed her. She and her husband opened their doors to the newly homeless. Mary again provided hot food and medical care, which was undoubtedly much appreciated considering winter had already taken hold of the region. Following the war, Mary’s acts were recognized by the Loyal and Patriotic Society of Upper Canada. They referred to her as “a heroine not to be frightened” and she was granted a gift twenty-five pounds sterling. When adjusted for inflation, her gift would be worth over £1,000 today. Not-So-Fun Fact: The above picture is all that remains of Mississauga Point Lighthouse (c. 2009). [Source] Fort Mississauga as built by the British in 1814 to replace Fort George, but that fort too was eventually abandoned in 1858 and fell into ruins. The Henry’s house no longer exists. Too bad there isn’t more info on Mary. I wonder if she knew Laura Secord? I know, it’s unfortunate. It would be nice to know what happened to the Henrys after the war. Me too! I’m going to try to find more.